The DJI Inspire 1 Raw is the most advanced ready to fly system from DJI, The Inspire 1 RAW uses the Zenmuse X5R camera gimbal system which is a micro four thirds CMOS sensor allowing 4K image capture and RAW recording. 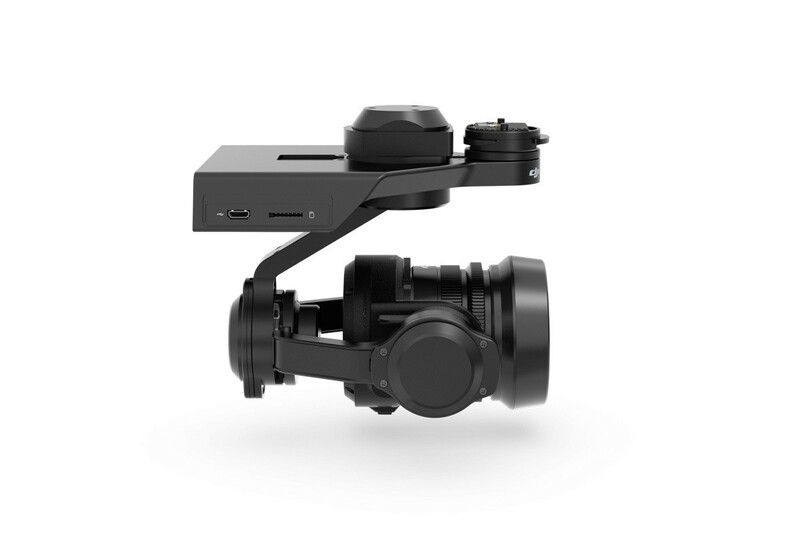 THis is the first DJI Inspire 1 to feature the Zenmuse X5R camera and gimbal system, it is supplied with a 15mm f/1.7 lens for super sharp footage. 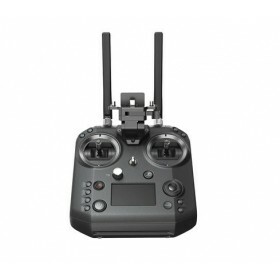 The retract landing gear design allows the X5R a clear view while in flight so taking advantage of the 360 degree rotation of the camera while in flight mens the most creative shooting is possible. The X5R camera and 3 axis gimbal keeps the shots steady and the camera level as the Inspire 1 banks and turns. 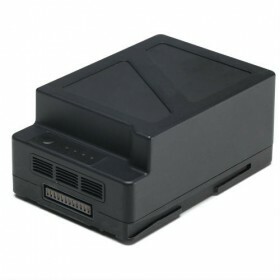 The X5R camera records internally to micro SDHC / SDXC memory cards or SSD drives and can transmit a live 720p feed to a mobile device running the DJI GO app or a monitor or FPV glasses with an HDMI input. Two transmitters are included so that one operator can pilot and another can operate the X5R camera system, including the control of pan and tilt. 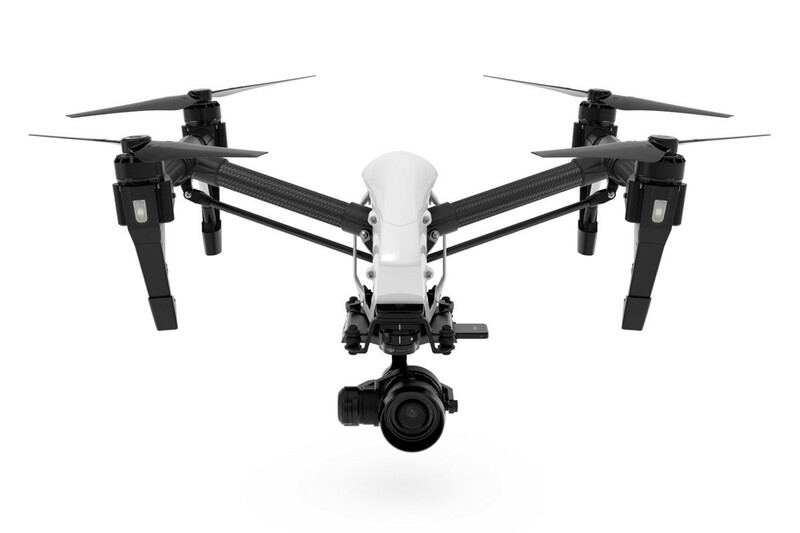 The DJI Inspire 1 RAW relies on a GPS-based stabilisation system outdoors and is able to hold a position even when experiencing wind interference, it will help compensate for pilot inputs which are not smooth and will automatically brings the aircraft home in the event of signal loss or at the press of a button. The Inspire 1 is also able to make a number of semi-automated flights, different flight modes can be enabled through the Go app. When flying indoor where there is no GPS the Inspire can operate with its Vision Position System, this technology is a combination of an optical flow sensor and ultrasonics, this gives the pilot stability indoors (While indoors some features will be deactivated). The X5R camera has a Micro Four Thirds CMOS sensor with MFT Mount , this mirrorless camera is the highest performance camera in the Inspire series. The standard MFT lens mount means that the Zenmuse X5R camera will accept the Panasonic Lumix 15mm f/1.7 lens, and also works with the separately available Olympus M. ED 12mm f/2.0 lens. The Zenmuse X5R is able to capture video at up to DCI 4K 4096 x 2160 at 23.98p or UHD 4K at 29.97p RAW Video, recording in addition to H.264, the X5R features Cinema DNG RAW recording, which minimises compression while maximising latitude for image manipulation in post production. The X5R is able to capture 16MP still images. In addition to single-shot, the camera support busts shooting of 3, 5, or 7 frames and can take time-lapse at stepped intervals of between 3 and 60 seconds. Photos are captured in either JPEG or DNG RAW. The X5R delivers the photographer a number of options in addition to full-auto, Program, Shutter Priority, Aperture Priority, and Manual exposure modes are provided. 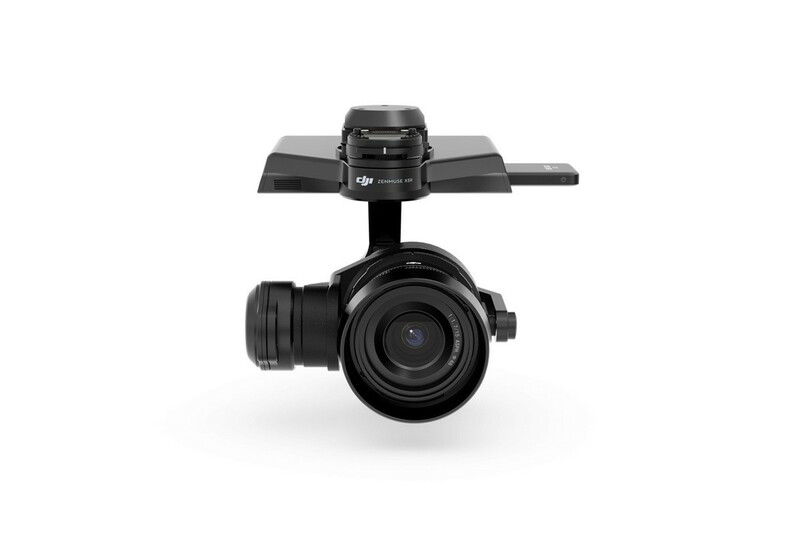 The Zenmuse X5R camera is mounted on the Inspire 1 RAW with an integrated 3-axis gimbal which uses brushless servo motors to keep the shot stable and the horizon level. The camera can pan a full 360-degrees so that no matter which way the quadcopter turns, the camera can remain locked on the subject. Manual operation of the camrea pan and tilt can be achieved using the controls on the second supplied transmitter. 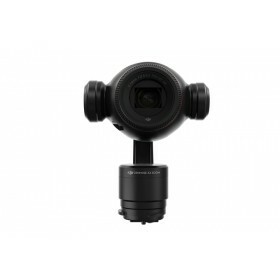 The Zenmuse X5R gimbal and camera assembly can be removed from the Inspire 1 for use on the DJI Osmo or for safe transport and future upgrades. 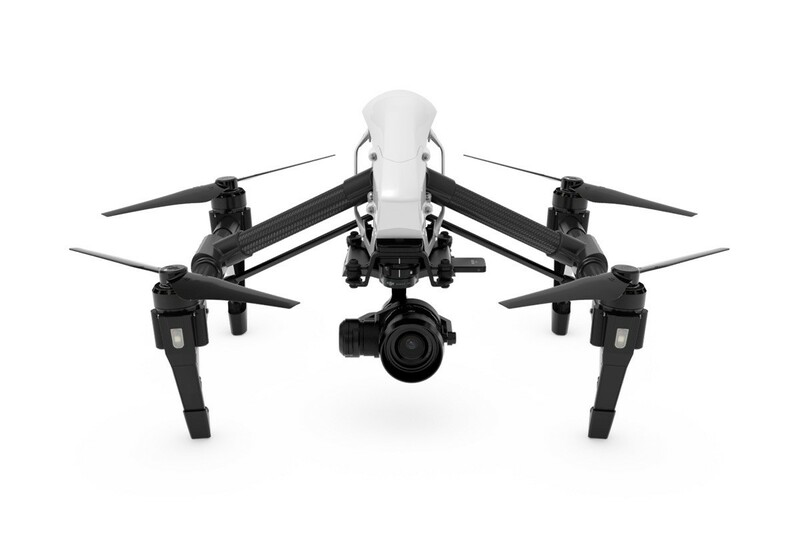 The Inspire 1 Raw features a retractable carbon fiber landing gear system, the arms will raise up after take-off to clear the view of the camera, the propeller arms rest in a lowered position when the Inspire is on the ground, acting as landing gear. The arms are made from carbon fiber for its high strength to weight ratio. 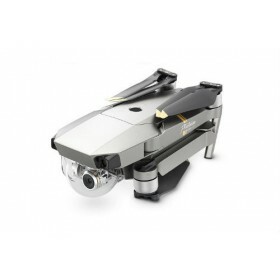 Not only does the Inspire 1 have a sleek look, the aerodynamic airframe helps reduce resistance for better performance and increased battery life. 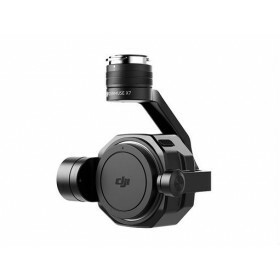 When used indoors without GPS DJI's Optical Flow technology uses a specially designed camera as well as ultrasonic waves to provide the same stability functions indoors as seen when using GPS outdoors. This technology allows the Inspire 1 to hold its location, stop when the controls are released, and respond quickly to pilot commands even when GPS is unavailable. 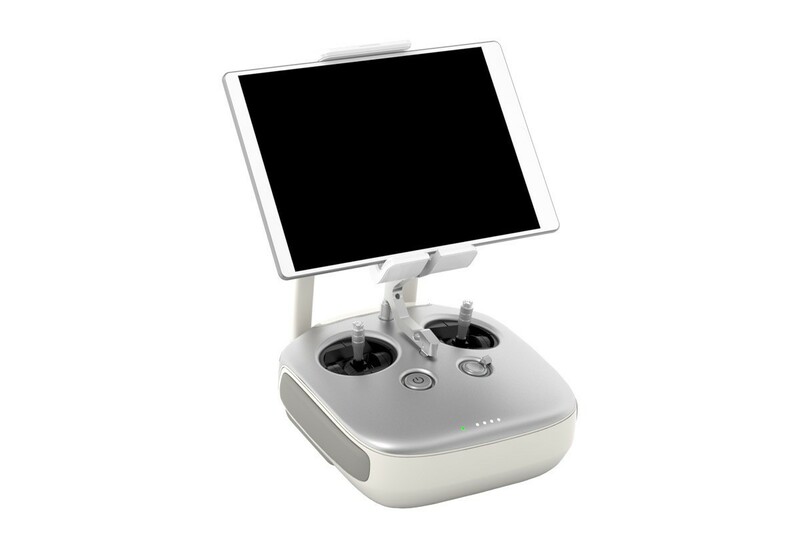 Everything from the manual camera controls to in flight telemetry can be accessed via the Inspire 1 Mobile app, the auto takeoff and landing and other advanced features like creating autopilot courses using waypoints are just a few easy steps away when connected to a smart phone or tablet. Note: The tablet must be connected to the transmitter via USB, and to use the waypoint map an Internet connection is required. When looking deeper into the Go App you will see functions for the Manual Mode on the X5R, you can change all of your camera settings, including ISO, White Balance, Exposure, and more on the fly ensuring every shot looks exactly the way you want. The live Map and radar functions allow you to see precisely where your Inspire 1 is at all times on the live map. The map can be enlarged when needed, and shows your most recent flight path. When a GPS signal is available on the transmitter (remote control), the Home Point automatically refreshes. This becomes useful while traveling in a car or on a boat allowing the return-to-home point to move where the operator goes. Multiple configurations are available via the Dynamic Home Point function. Automatic Take-off and landings are available with just a tap on the App. Tap once to takeoff and your Inspire 1 RAW will hover and transform from legs down to the up position ready to start filming. Tap again to make it transform into landing mode and auto land. 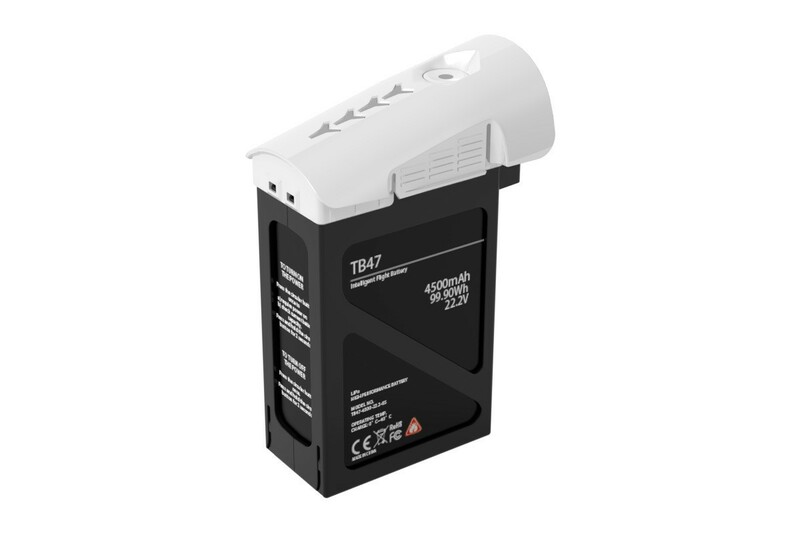 The battery tracks the voltage of each cell, the total number of charges and discharges, and the overall health and battery status.